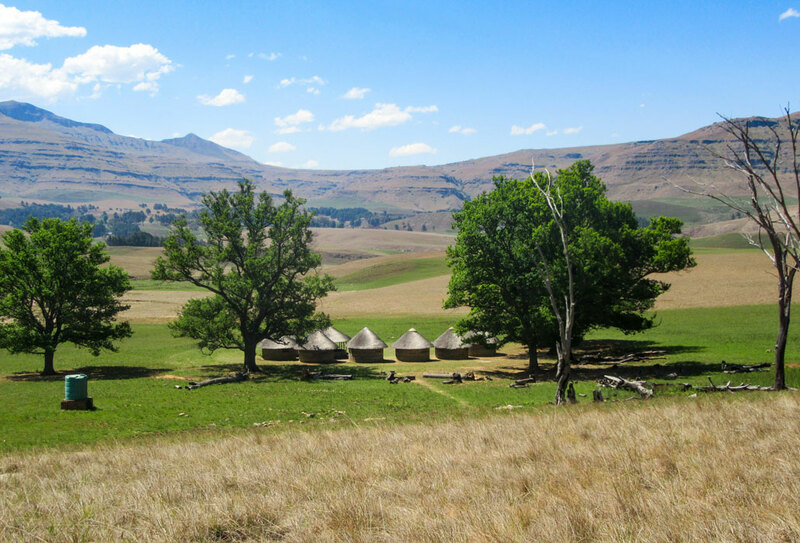 There are various hutted hiking trails in South Africa, and many debates about which is the hardest. 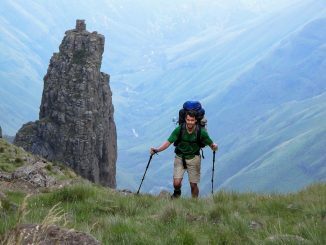 While the Giants Cup Trail is most certainly not the hardest of them, it is not the easiest and is probably the highest. 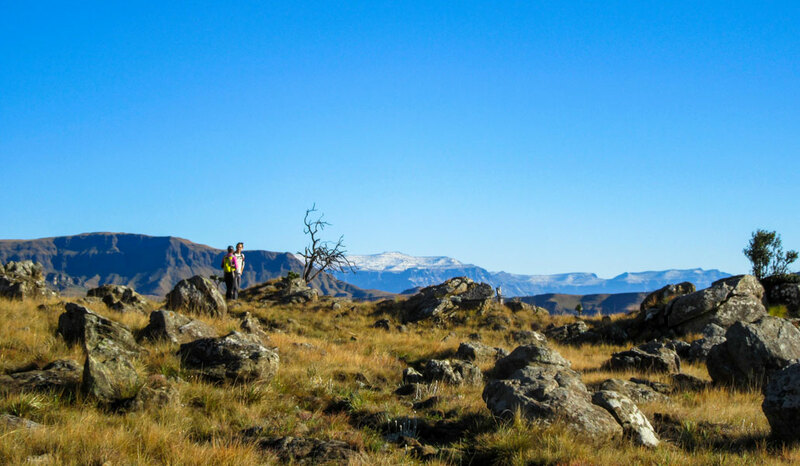 With a highest point below 2200m, altitude isn’t a major factor, but the elevation profile that includes more than 2000m of altitude gain over the route is a significant part of its difficulty. I have had two shots at doing this trail in a day, so far, this year. Both ended in an ITB strain after a solid start. Being only 3 weeks after doing the Northern High Traverse in a day, it was risky from an injury point of view – but sometimes in life you just jump in and hope for the best, which is what I did here. For clarity, references to trail days are referring to the normal configuration of the trail as a 5-day hike. All days described were completed in one day on this occasion. 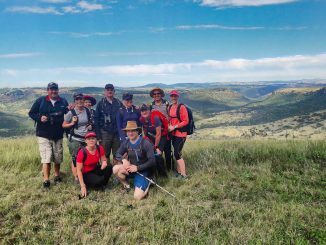 After an awesome braai at Sani Backpackers on Friday night, we found ourselves setting off on the trail at 5:39AM on Saturday morning. 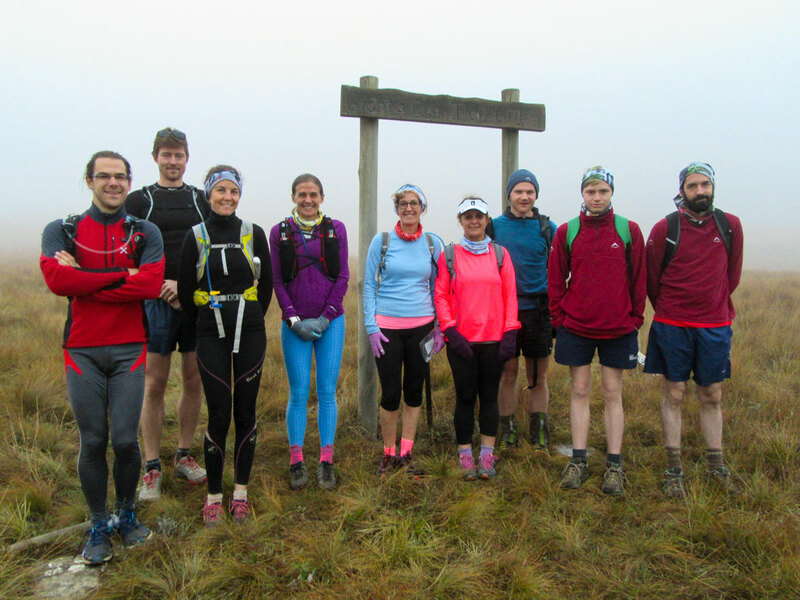 It was misty, and the team was in high spirits. 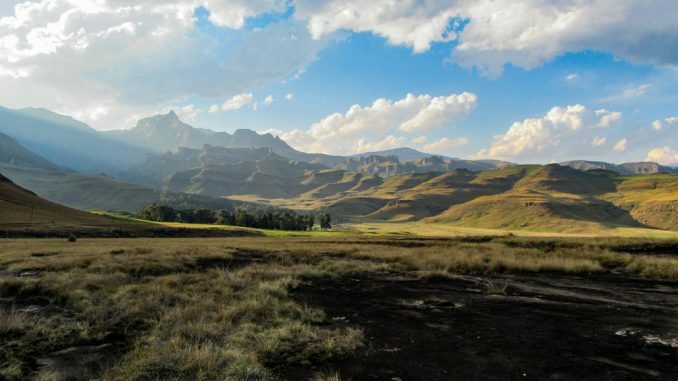 By Ngenwa Pool (possibly the best rock pool in the Drakensberg), the group had already become rather staggered. Mike and I decided to pace the trip out according to our own schedule. As we left the Gxalingenwa River, the mist began to clear, and it was soon evident that this was going to be a really hot day. 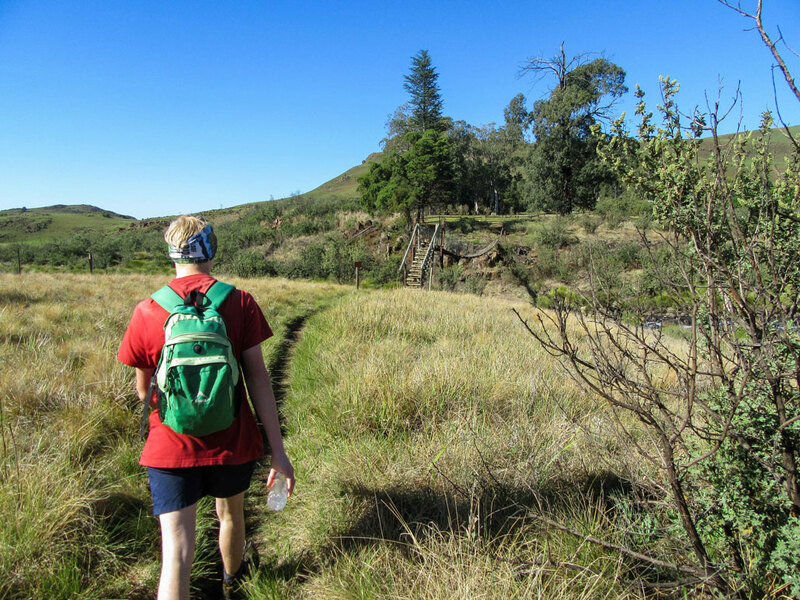 Day one of the Giants Cup Trail is fairly easy and even with a fairly long stop at Ngenwa Pool, we still hit Pholela Hut with an average pace of just over 5km/h. The target time was 12 hours, so this was perfect. Our average pace (including breaks) was 5.3km/h when we reached Cobham. After completing the register and chatting to the others, we set off for the easiest day of the trail. Around the start of the hill, Mike realised that he had left his water bottle back at the mountain register. This detour cost just short of 1km, but we were still far ahead of schedule, so this wasn’t a big concern. The Tortoise Rocks hill is rarely an issue on this trail, and it fell without much difficulty. 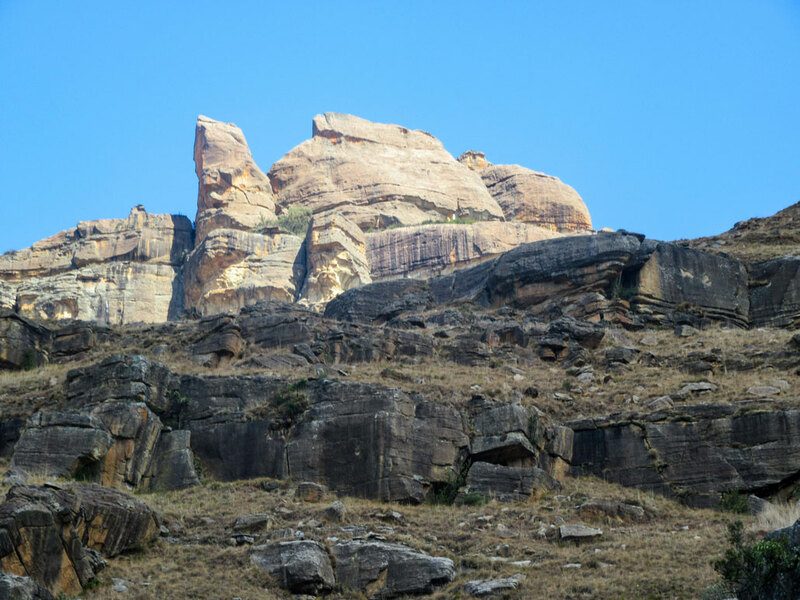 We saw some Eland on the top. 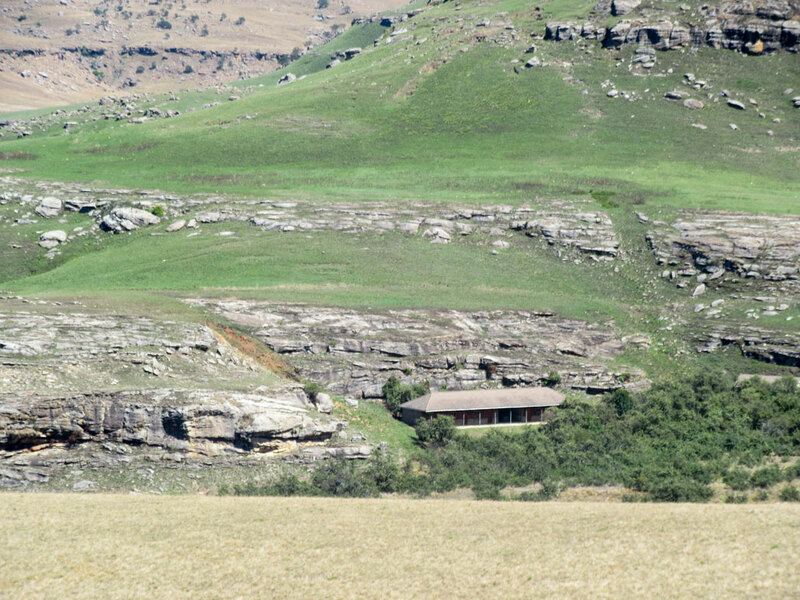 We descended to Mzimkhulwana Hut, still well ahead of schedule. The others were just leaving the hut as we arrived. We stopped for 10 minutes, enough to put our feet in the river, fill up our bottles and have some food. 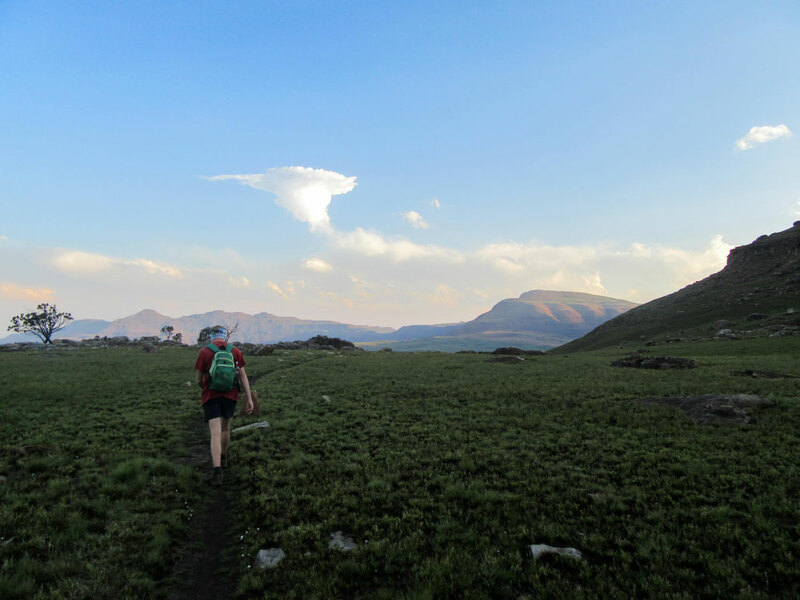 Leaving the hut, we knew we were now through the easy part of the day – the first two days of the Giants Cup Trail are definitely the easiest. We stopped for a break to reapply sunscreen, around halfway up the Bamboo Mountain Ridge. 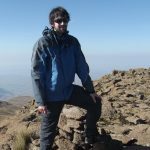 I could see that Mike was taking strain – which is to be expected after a long break from hiking. We took a short break Crane Tarn, which was far too empty to swim in, unfortunately. 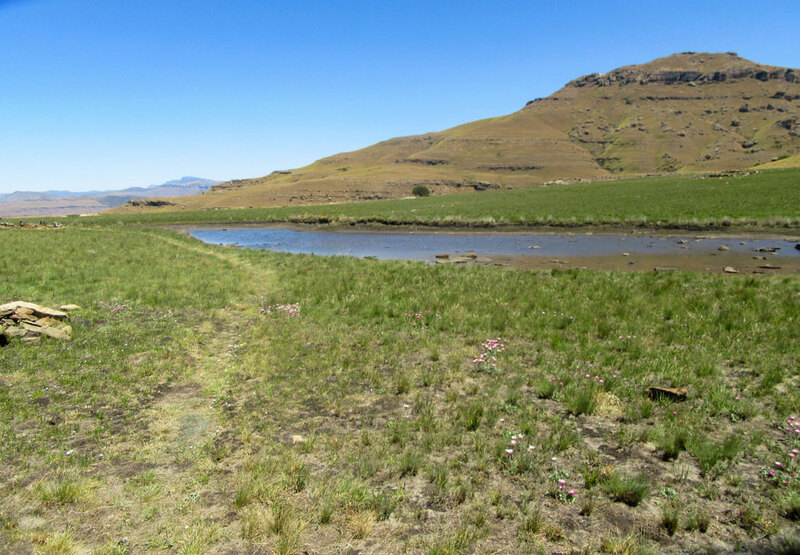 The 2km road section of the Giants Cup Trail is always a bit of a pain – a road section on a wilderness trail is never ideal, but it passed quickly enough. We met up with some of the others just before the trail left the road. We pushed on to Wintershoek Hut. Our average pace upon arriving at the hut was 4.9km/h, so we were behind, but still on track for a time around 12h30 – which we would be quite happy with. We stopped for a fairly long break and had a fair amount to eat before setting off to Garden Castle Ridge. Our legs were starting to tell the tale of the 34km they had already completed for the day. With 28km still remaining, this was not ideal, but what can you do. It was at this point that we hit a wall – our ascent of the next ridge was slow and we stopped for far too many breaks. We caught up to one of our team members on the descent towards the Swiman Hut junction. Upon reaching the junction, we went our separate ways as we insisted on tagging all 5 huts, while the others did not. Swiman Hut included a few friendly faces, and Christine Pickup gave Mike and I muffins and some hot homemade soup, which was awesome. Taking this food meant that we would not complete the route unsupported, but seeing as the ship had sailed on getting close to 12 hours, this wasn’t as much of a concern as having the energy to finish strong. 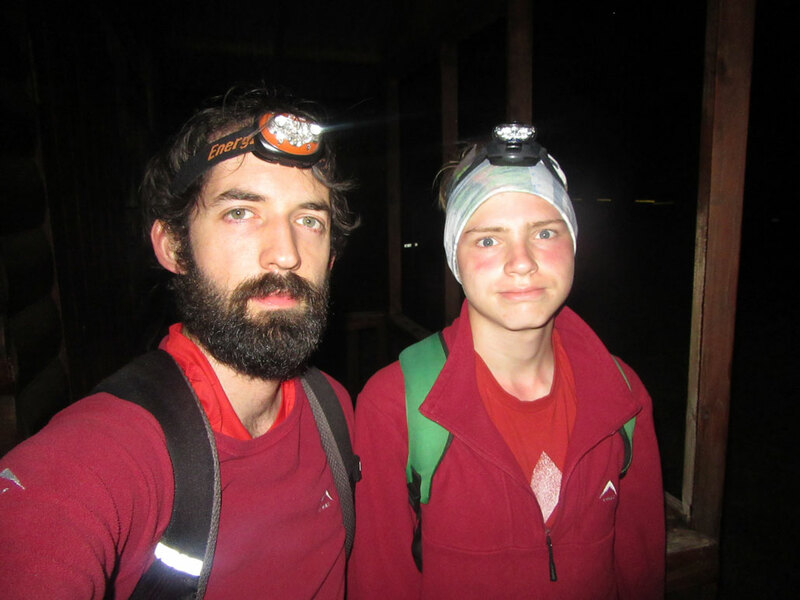 We both had a hot shower at the hut, which made a huge difference, and at 4:50PM we set off for the final 15km, and the hardest day of the trail. We had 49 minutes left to hit our target time, so any thoughts of a sub-12 hour time were long gone. 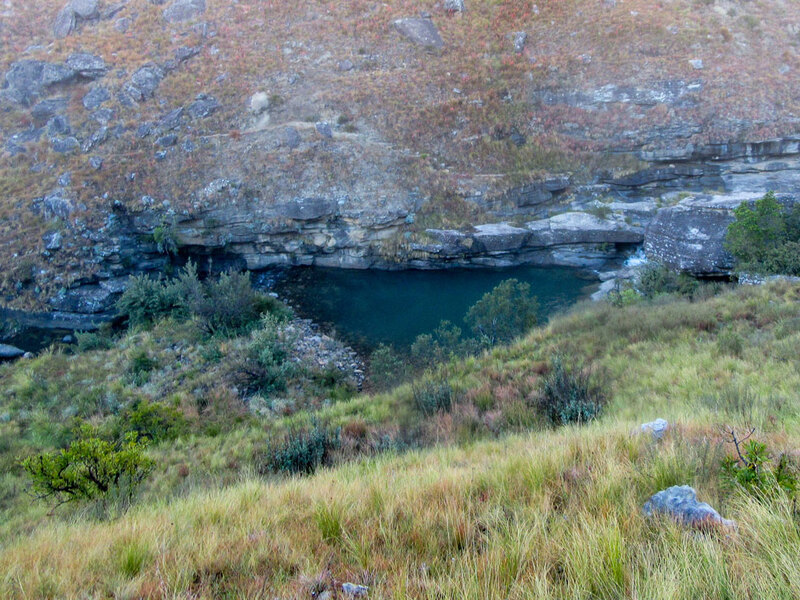 The relatively flat section from Swiman Hut to just before the Mzimude River went off without trouble. We stopped for a break by the river, filling up our bottles and getting some food. The final hill is the biggest of the entire trail, yet it went surprisingly well and we managed to reach the top of the main section of the climb before needing our headlamps. 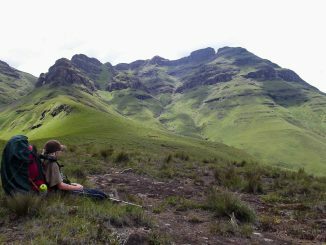 The long traverse along the ridge before Langalibalele Cave went quickly, but with a large storm rolling in, we decided it would be wise to take a break in the cave. Fortunately, the storm moved on quite swiftly. 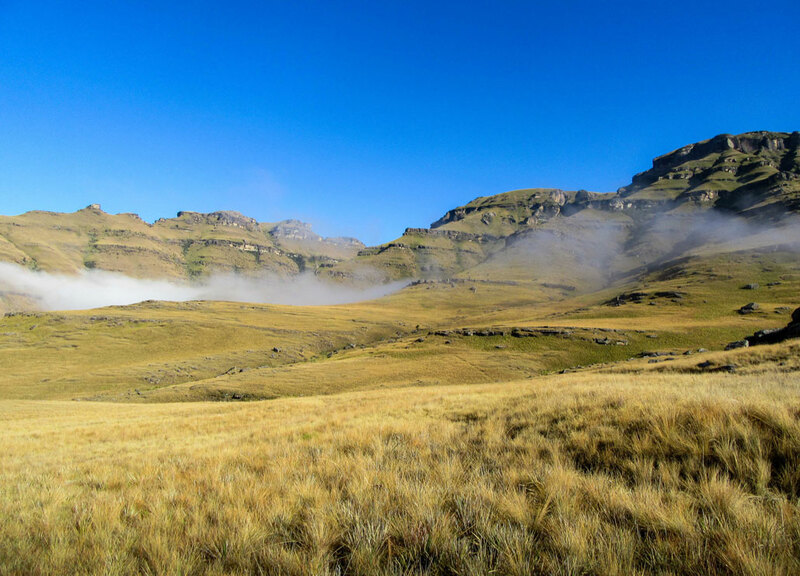 Ascending the final section of the hill – where the trail is easy to lose in clear weather during the day – we soon found ourselves on the final plateau, knowing that all that was between us and the end of the day was a large downhill section. The lights of the border post were visible – the end was in sight! We got down the hill at a fair speed. 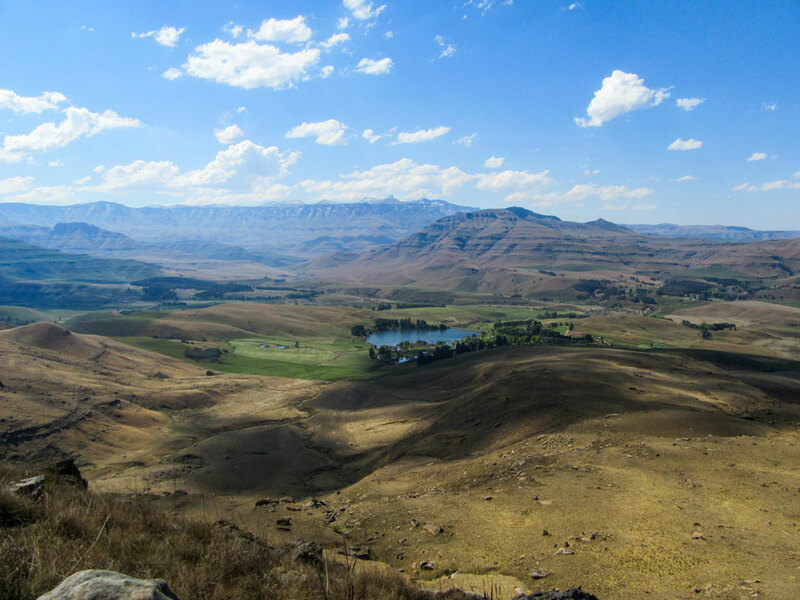 We had to tag Bushman’s Nek Hut to complete the checkpoints – and to collect my car keys – which we did. After a brief chat with the others, we pushed through to Bushman’s Nek, tagging the offices at 9:31PM, 15h52 after we began. Overall, we had hoped to be faster, but considering that it was Mike’s longest day in terms of distance, and my second longest in terms of distance, it was not a terribly bad effort. 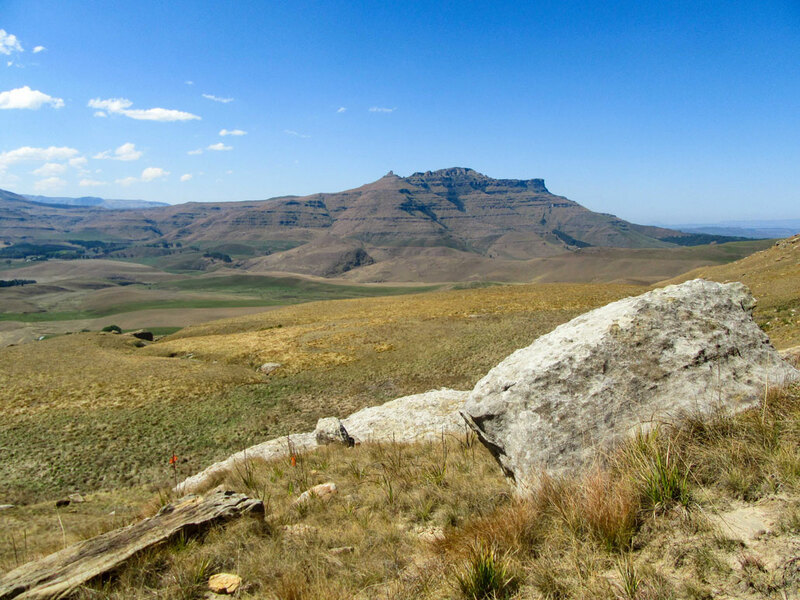 For more of Jonathan’s adventures, check out his blog: Ghaznavid Hiking. Well done. Our hiking group did this route a few times over 4 days. An awesome hike. Enjoy the pictures. 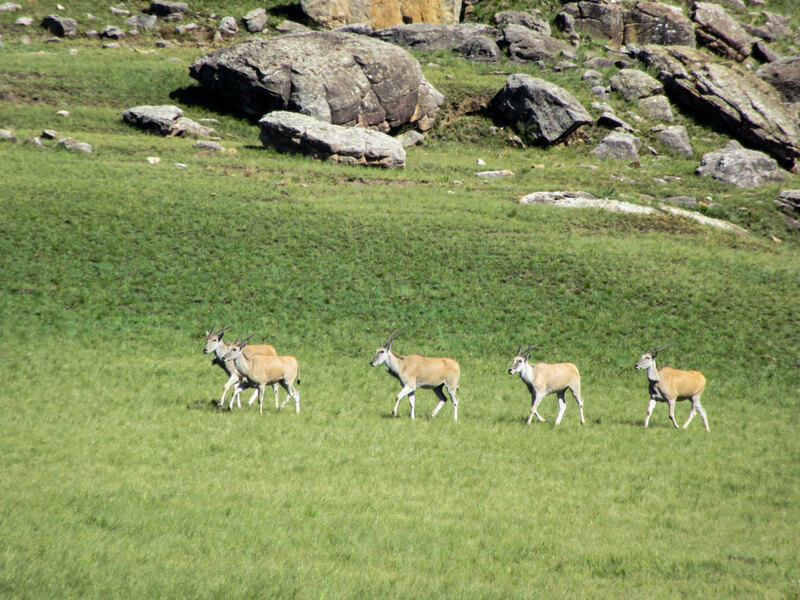 Those Eland are lovely to see in the wild.